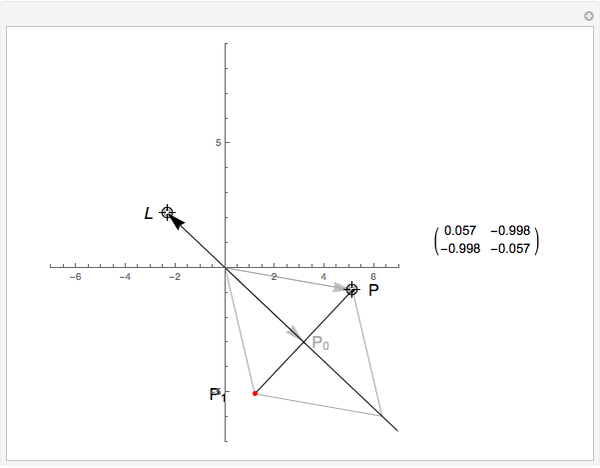 Here is a simple setup of a manipulation and reflection matrix in 2D space. 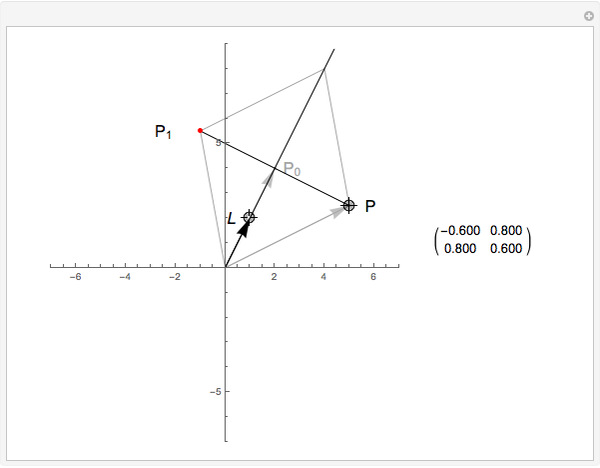 By using a reflection matrix, we can determine the coordinates of the point , the reflected image of the point in the line defined by the vector from the origin. The projection of onto the line is . The point is then determined by extending the segment by . 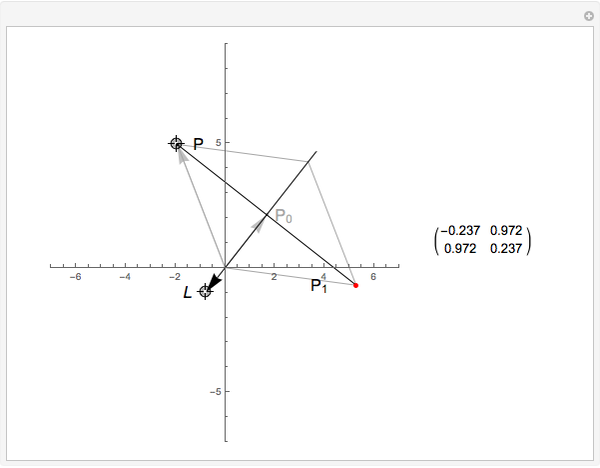 As vectors, . If is normalized (so that , the reflection matrix is . Then , that is, the reflection of a reflection is the identity. Also, . Jonathan Barthelet "Reflection Matrix in 2D"